Photoshop Artistry and HDR Photography of Matt Shalvatis: St. Andrews in the Morning. St. Andrews in the Morning. 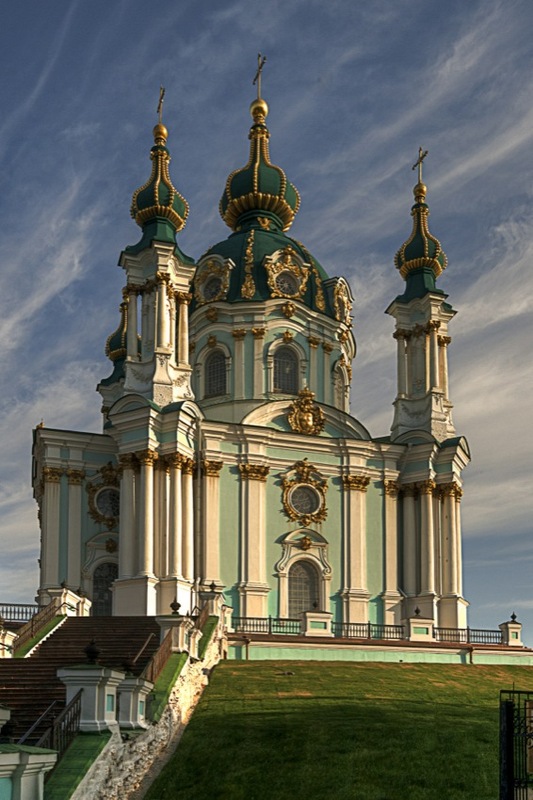 The Saint Andrew's Church is a major Baroque church located in Kiev, the capital ofUkraine. The church was constructed in 1747–1754, to a design by the Italian architect Bartolomeo Rastrelli. This wikipedia article is a bit outdated. The church has undergone major reconstruction recently, so the concerns about the building’s foundations should hopefully have been taken care of.